If you are facing a challenging situation that requires the guidance of a legal professional, contact Bowers Law Firm for a free consultation. While our main office is located in western Wyoming, we maintain offices in northern Utah and eastern Idaho. Contact our office to discuss your matter in greater detail. Whether your legal dilemma centers on personal injury cases, criminal defense or civil litigation, it is wise to seek the counsel of a skilled attorney at our firm. Our firm's founder, John D. Bowers, is a former law enforcement professional and elected criminal prosecutor. He brings sharp skills in negotiation and litigation to every case. 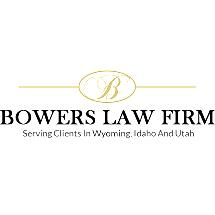 With the addition of attorney Spencer Allred, the Bowers Law Firm is well equipped to handle even the most complex cases for our clients in Wyoming, Utah and Idaho. While our firm focuses a great deal of attention on personal injury cases — such as car accidents, truck accidents, product defects and medical malpractice — we still devote a significant amount of resources to guiding clients through civil litigation cases and criminal defense. If you need a skilled lawyer on your side who is dedicated to aggressively fighting for the best possible resolution in your case, schedule a consultation at our Afton, Wyoming, office.